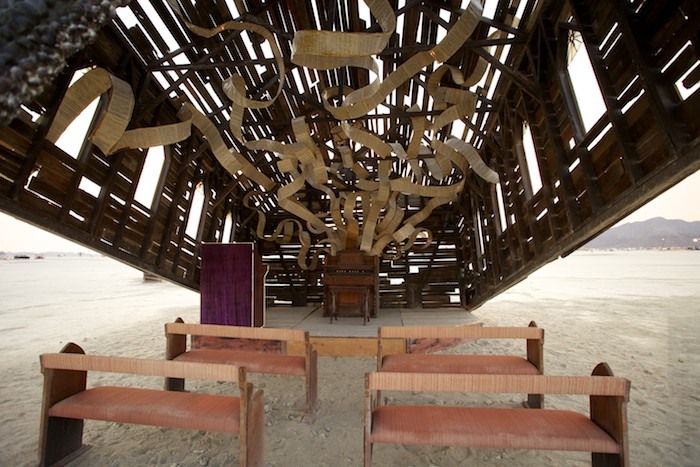 Burning Man 2013 - It’s a trap! Caption: Scrolls of lacquered music burst forth from the organ. This place definitely struck a, er, chord, as it was packed all week.